As the Supreme Court gets ready to hear a case involving the constitutionality of President Obama's health care overhaul, social scientists are asking a disturbing — and controversial — question: Do the intense feelings about the health care overhaul among ordinary Americans stem from their philosophical views about the appropriate role of government, or from their racial attitudes about the signature policy of the country's first black president? In a new paper published in the American Journal of Political Science, Michael Tesler presents survey and experimental data that suggest that the racial attitudes of ordinary Americans have shaped both how they feel about the health care overhaul, and how intense those feelings are. The paper is one of many studies that examines how the views of voters on policy issues are shaped — at least in part — by factors unrelated to those subjects: Voters are more likely to back the policies of leaders with whom they share some core aspect of identity, such as race or religion. 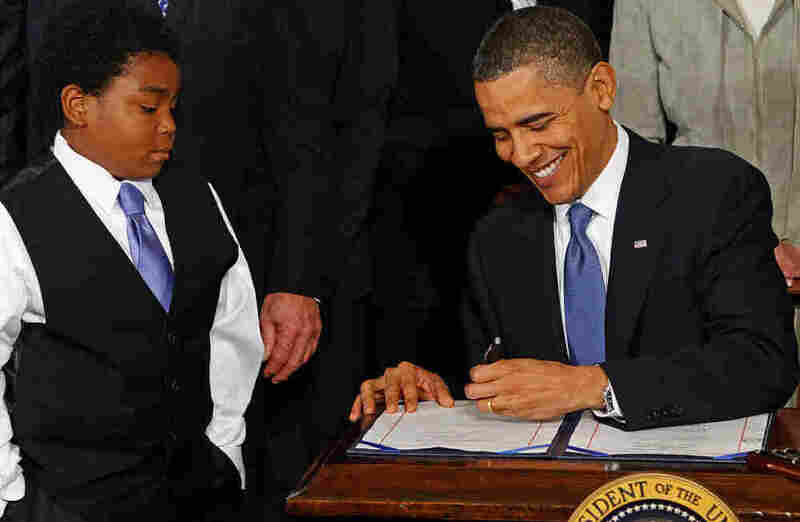 Tesler finds that blacks have become increasingly supportive of health care under Obama's watch. Among whites, Tesler finds a sharp divide between whites who have a liberal outlook on racial issues compared with those who have a conservative outlook on racial issues. In an experiment, Tesler presents a health care overhaul policy to whites, telling some that the policy is advocated by Bill Clinton and telling others that it's advocated by Barack Obama; Tesler finds that whites with liberal racial attitudes become more supportive of the policy when they think Obama is its chief advocate, while whites with a conservative attitude become less supportive of the policy when they think of health care as an Obama policy. The study is part of a broad range of research projects that shows that issues such as race and religion play a powerful role in shaping how people feel about policies related to war, welfare and crime.